As a Babywise Mom you are a planner. You have goals. You work HARD to make sleep happen, feeding happen, and for the day to flow a certain way. 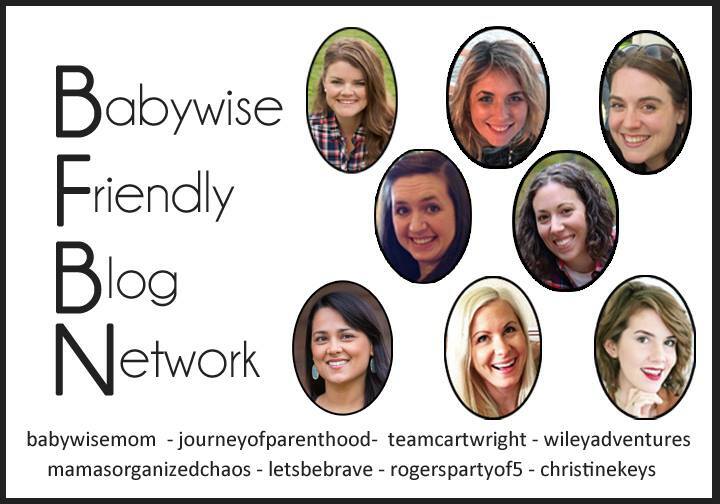 But y’all, there is no such thing as a perfect Babywise baby. There WILL be disruptions. Interruptions. Days where you just feel like all hopes and dreams and hard work for that schedule just flew out the window. It’s okay! Rough patches happen. It’s NORMAL. I know when you’re living in the rocky seasons it can feel like you’re drowning and like it’ll never get back on track. When I was a first-time mom I would basically freak out and do a constant guess and check to try to figure out what the heck was wrong. Why wasn’t my kid sleeping? Why was he so fussy? Was it gas? Teething? Was he allergic to something I was eating? You can literally drive yourself insane going through the guess and checklist any mama works through when battling an upset baby! Then someone told me about The Wonder Weeks. I’ve never actually read the book? Although you can purchase it here if interested! 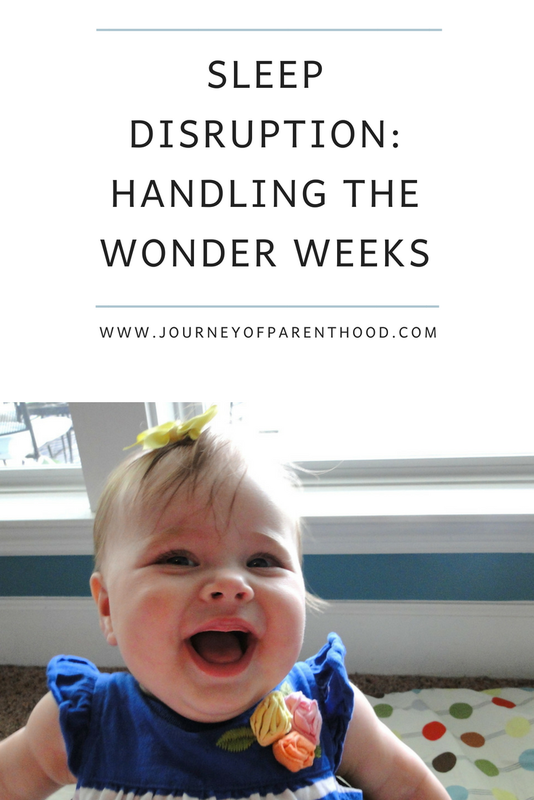 Back when I first learned about the Wonder Weeks you had to go to a website to figure out what week your child was in but now they have a handy app that makes it SO EASY to track! In a nutshell Wonder Weeks are periods of milestone leaps in your baby’s development. Using your child’s birthdate (if an early baby some recommend using adjusted birth age) the app is able to predict “stormy times” which are a time when you can expect disruptions, fussiness, sleep issues, and other irregular behaviors. During these stormy times your baby is going through a growth spurt – sometimes physically, sometimes mentally and sometimes developmentally. They are hitting new milestones and learning new things! The “storm cloud” is a very accurate representation of this time because your baby will not seem like themselves. Expect naps to be a struggle for this time period. 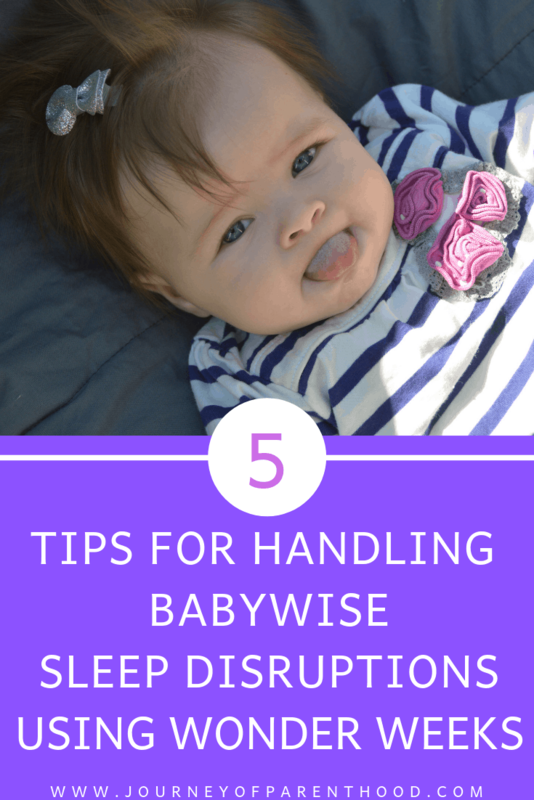 Early bedtimes may be required and it is not abnormal to feel frustrated and miss your previously happy baby! Don’t dwell on the wonder weeks. Don’t look ahead at what’s to come. Don’t let it rule your life. Have the app, but then don’t think about it. If you dwell on the “stormy periods” to come then you won’t enjoy the NOW. Remember that the Wonder Weeks app is there to let you know time periods when your baby may be fussy due to milestone developments. It’s a milestone guide. It provides knowledge on mental leaps and fussy phases. It’s knowledge and knowledge is power. Knowing that my baby was fussy because he was hitting a developmental milestone made me feel SO much better. I knew he wasn’t in pain. I knew it wasn’t gas or an allergy or something I was doing wrong. It was a natural leap that all babies go through. It’s normal! Hitting those milestones means he’s healthy and thriving and that’s a POSITIVE thing! I no longer had to go through an obsessive cycle of guessing and checking. I knew what was causing the disruptions so I could stop feeling all this pressure and stress over it! Does that knowledge mean your kid will be less fussy? NO. But having that knowledge should allow YOU to feel better about it! A common thing I hear people say is “oh she’s in a wonder week!” It’s often used as an excuse. A free pass. Let’s just toss all that hard work of implementing Babywise out the window because it’s a wonder week! 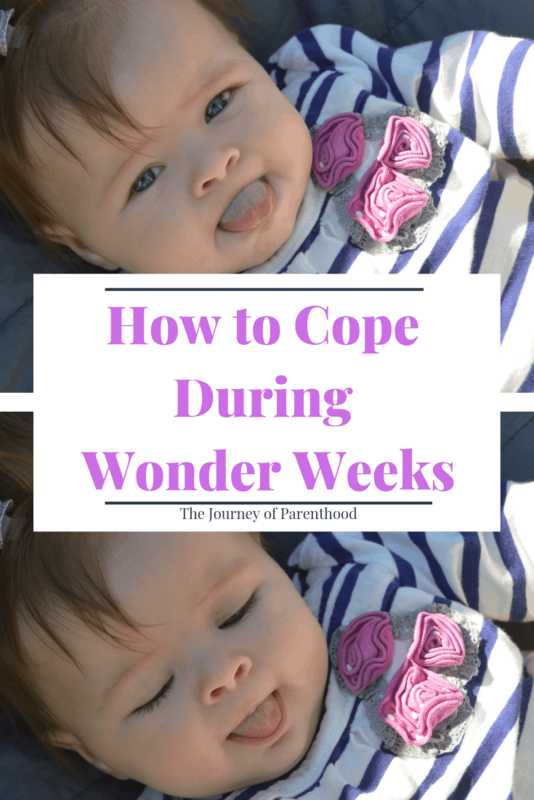 Yes, wonder weeks can be TOUGH. And some are rather lengthy too! But that doesn’t mean you should throw in the towel and give up on Babywise techniques. Staying consistent with your routine will not only help your baby bounce back to normal quicker but will help you stay saner in dealing with the disruptions during the leap. During those times of leaps, keep doing everything you normally do. But when those moments of disruptions happen? Recognize that it’s part of the side effect of the wonder week and take the steps needed in order to get through it. There is a delicate balance during that time period and you want to try your best to stay as close to the norm as possible. If the baby always sleeps in her crib but is waking early from nap due to the wonder week, go in and shhh-pat until she’s back asleep. If that doesn’t work then try holding until back to sleep. If that doesn’t work then try the swing. Or a paci. Rather than jumping straight to a swing or paci, you want to take gradual steps in hopes that one of them will work and that more disruptive measures won’t have to be taken! Yes, it’s important to stay as close to normal routine as possible, but it’s also important to RELAX. The stormy periods of mental development are short-lived phases and no long term damage to your schedule will take place if you have to slack on some areas for the time period of the leap. Disrupt things as little as possible, but understand that it’s not the end of the world if you have to hold your baby for an entire nap either (soak it up because that’s something us Babywise Mamas don’t get to do often ha!). And when I say relax? I don’t just mean about the schedule. Relax for yourself too. These leaps are tough on mama. It’s added stress and work on your plate and it’s FINE to need a break. Minutes with a crying baby can feel like hours. When baby will not nap, Mommy cannot get the break she needs. Mental health is important for you too! Take a few moments to get outside and breathe in fresh air, have your hubby keep the baby so you can go get your nails done, SLEEP. Just give yourself a bit of time and space to be baby-free for a bit. It can be frustrating dealing with a fussy baby and we all need a break to be able to give baby our best! The beauty of the wonder weeks is that it’s a reminder that the stormy days won’t last forever! Your child hasn’t suddenly done a Dr Jekyll switch in his personality. He will go back to his happy, well-rested self. Remind yourself that the leap is only for a short period of time and that it all will be okay. 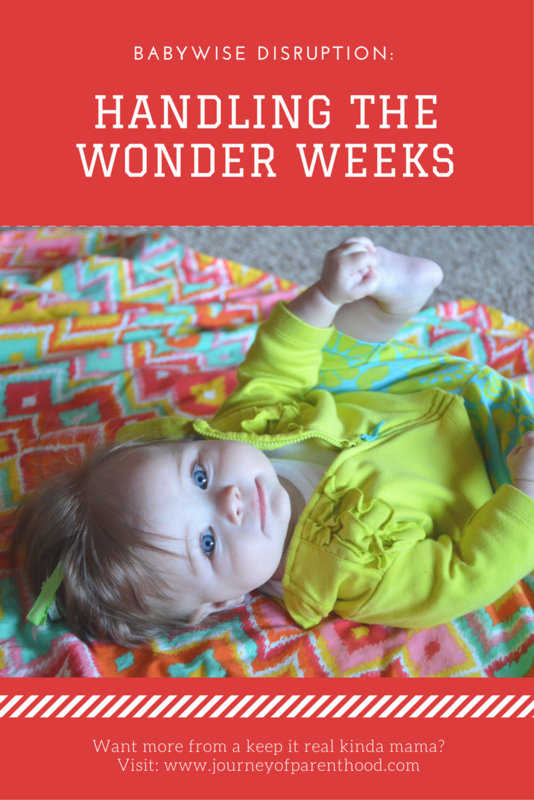 Want to know more about the Wonder Weeks? Especially that “gray period”? Be sure to check out this post from Mama’s Organized Chaos! Previous Post Partyin’ Like It’s 1987: Casey’s 30th!